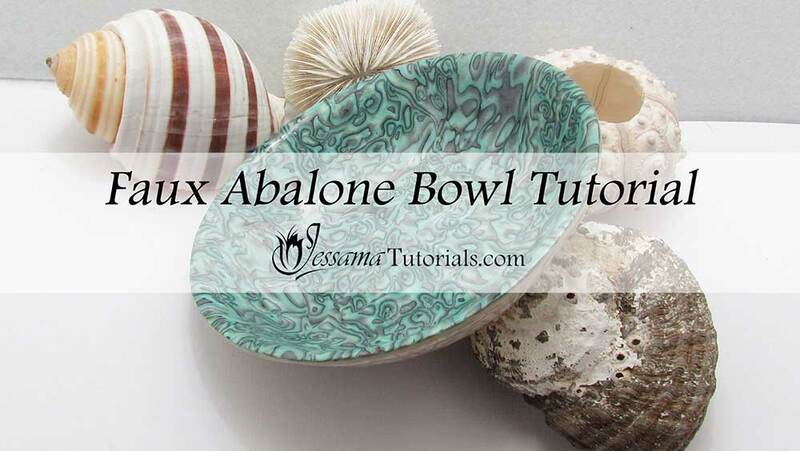 In this tutorial I’ll show you how to create Faux Abalone with polymer clay. 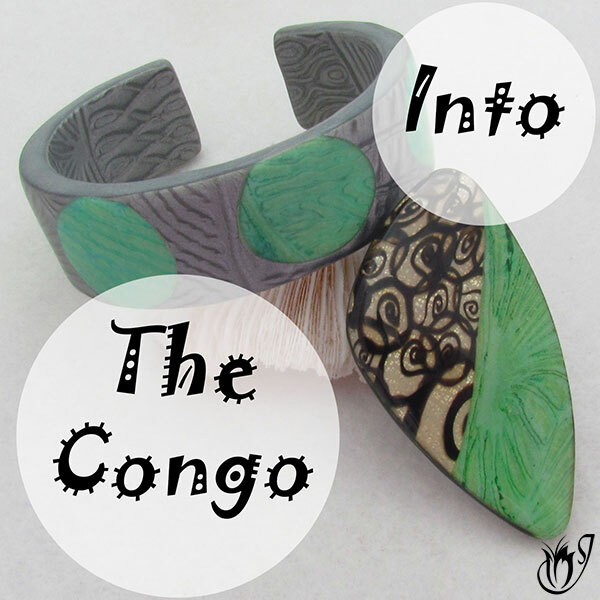 It’s a technique that can be manipulated to create many other faux shells which I’ll be showing in future. 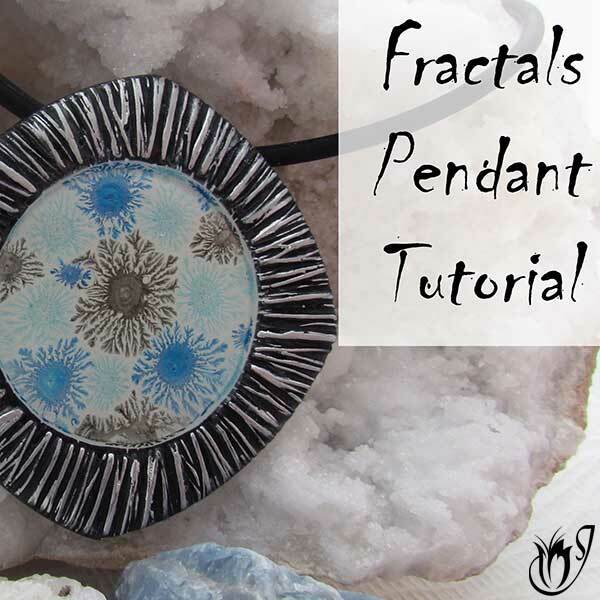 Today I’ll show you how to create a bowl, but you can use the effect on pendants, collars, bracelets and many other projects. 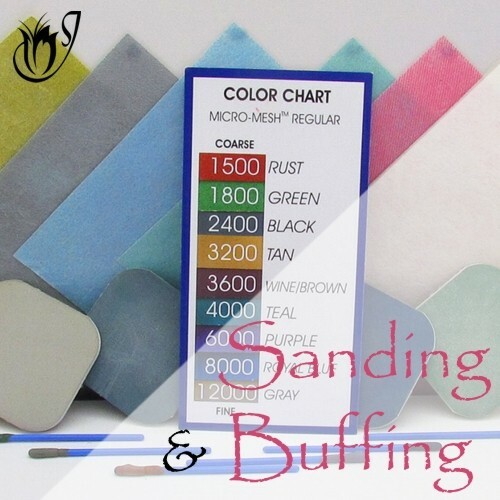 To start you’ll need a Skinner Blend starting with the blue blend, then pearl white, then the green blend and finally the silver. Once you have the Skinner Blend run it through your pasta machine to lengthen it, then turn that into a Skinner Blend plug that is 2.5 cm high. Place a 2mm thick sheet of black on the top silver side of that Skinner Blend plug. Reduce down using your acrylic roller and roll out on the pasta machine to a 2mm sheet. Trim up the edges. Stack that sheet 3 times and roll down to a 2mm sheet. Trim up the edges. Stack 4 more times, gently pressing each layer out of shape with your fingers or ball tools to distort the pattern. Press the layers together to eliminate air bubbles. Press it all together into a plug of 1cm to 1.5 cm high. Make sure it is well stuck to your tile and slice. You should now have some lovely faux abalone slices. 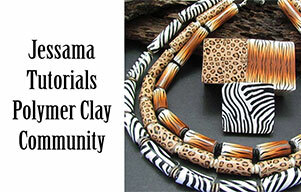 You can use these to create pendants, collars, bracelets, bowls, vases, coasters and much more. Today I’ll create a bowl. 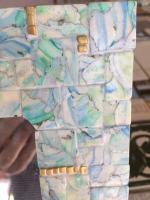 Start out by placing your thin pieces of abalone together to create a sheet. Burnish smooth with an acrylic roller over a plain piece of paper. Place an 8mm thick backing of pearl white behind the abalone and burnish again. Smooth it down to remove trapped air bubbles. Trim away the excess along the sides and smooth again. Bake this at your brands recommended temperature for an hour. When the bowl has cooled, gently release the clay and remove. Turn the clay bowl upside down and gently scrape along the rim using your craft knife to remove any straggly bits. 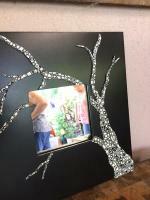 Now roll out a sheet of pearl white and cut it into strips. Twist these strips and roll each strip into a nautilus shape. Place the nautilus onto your bowl’s back and continue until the back is covered. Once covered, press on the nautilus to flatten them. This will create a mica shift. Smooth off the back and remove any excess. Smooth around the rim with your fingertips. Bake again at your brands recommended temperature for an hour. Once cool sand the bowl. You can choose at this point if you want to use a coating and if so which one you want to use. I chose to use liquid clay. See my Patreon tutorial to see how I used liquid clay to coat my bowl. And that's it. You should have a beautiful Faux Abalone trinket bowl. 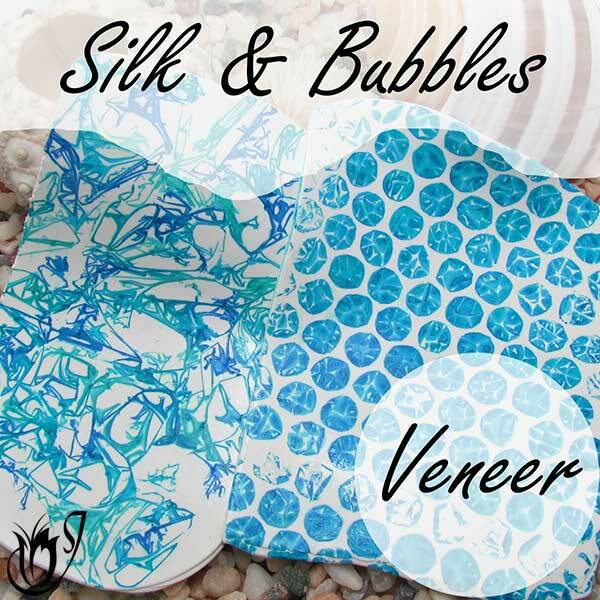 You can use this Faux Abalone technique in lots of lovely projects, so mess around with the colors and layering and see what you can come up with. Please Note: The Simple Slicer has been discontinued.